Among the analogies used to explain the concept of bottleneck resource, core of the Theory of Constraints in operations and manufacturing, the pipes of a hydraulic system is a classic one. Here is a hydraulic system made of a succession of pipes of different diameters. The throughput of this hydraulic system is limited by the section with the thinnest diameter, which chokes the water flow. 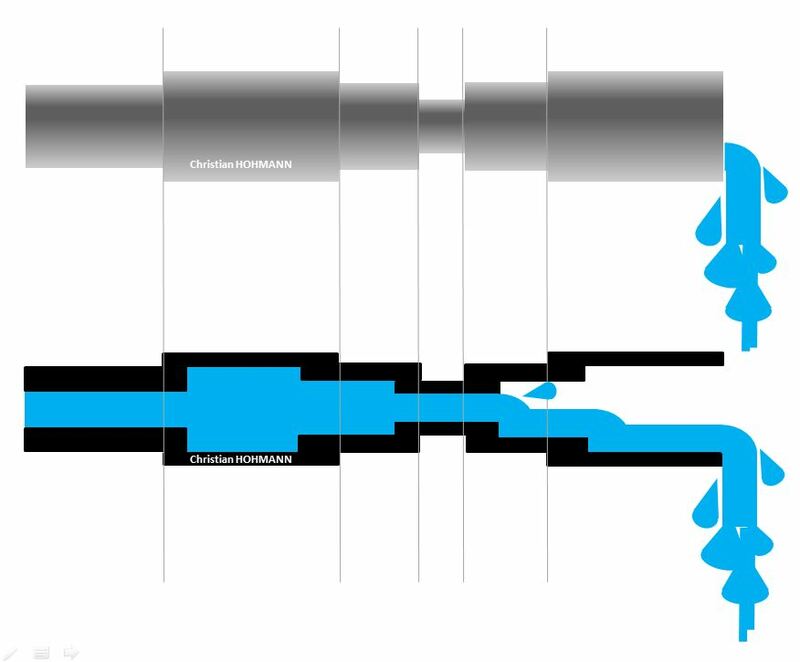 If the water flow must increase, increasing the diameter of pipe before or after the bottleneck section is of no interest, the flow is still limited by the thinnest section. The only way to increase the flow is to work to increase the throughput at the bottleneck. This rule applies for any system with a bottleneck, the system overall throughput is limited by the bottleneck’s throughput. ← Will 3D printing revitalize strategic analysis?